The organic seaweed used (three different species to be exact) is hand-harvested from the Sea Of Patagonia in South America (that's right, penguin land!) and sun-dried by a local family. The remote region means that the seaweed is not only one of the purest in the world, but also the most rich in bioavailable nutrients and high in vitamins, minerals, amino acids, antioxidants and essentially fatty acids - all of which translate to a more glowing complexion, reduced redness (including from sun damage) and acne, and even tightening of the skin. OSEA uses this powerful sea plant in whole, powder and extract forms. Now I know what you're thinking... seaweed skin care - am I going to smell like nori sheets? I can assure you, you will not! Instead, the products are blended with a variety of natural oils and plant extracts, giving them a light, invigorating citrus scent. All OSEA products are vegan, cruelty-free, gluten-free and non-GMO, with most of them being packaged in recycled glass bottles. 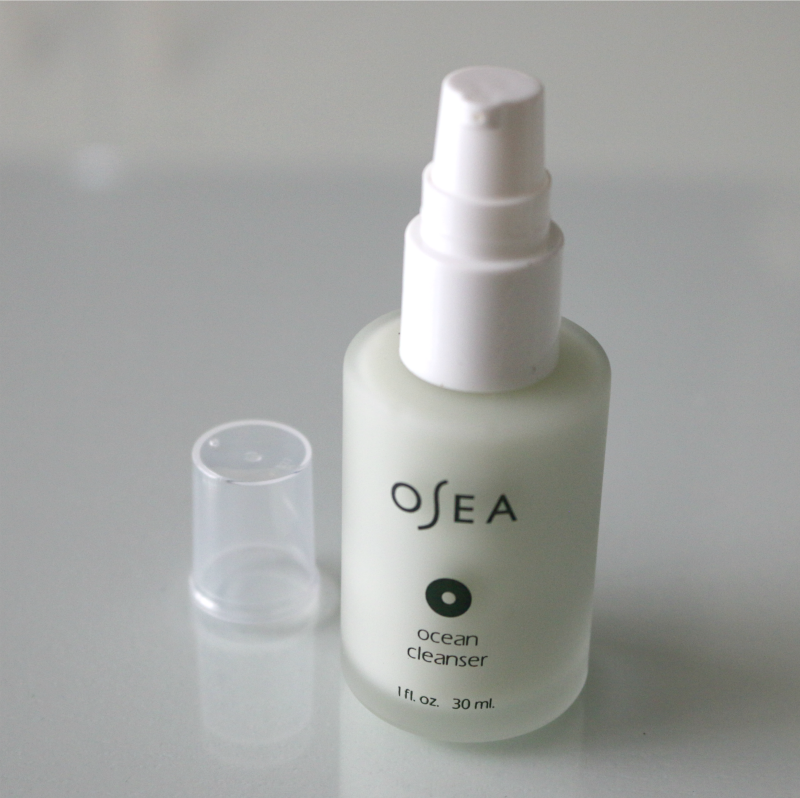 The OSEA Ocean Cleanser* is suitable for all skin types including normal, combination and oily. Not only is it packed with organic algae extract, but it also contains other ingredients such as sesame seed oil, lime oil, orange oil, juniper fruit oil and cypress seed oil. This gel cleanser does not foam, but instead emulsifies when mixed with water to remove impurities from the skin, including from makeup. I massage it in circular motions on my face and down my neck, and give my skin a good rinse after letting it sit on my skin for about a minute. I love how light and non-greasy the formula is, and 2-3 pumps goes a long way. Think of the OSEA Essential Hydrating Oil* as a hydration boost packed into a rollerball bottle, making it perfect for on the go. I've previously tried a blemish touch stick in similar packaging, but what distinguishes this one from the rest is that the roller provides a cooling effect since is is made from metal and not plastic. 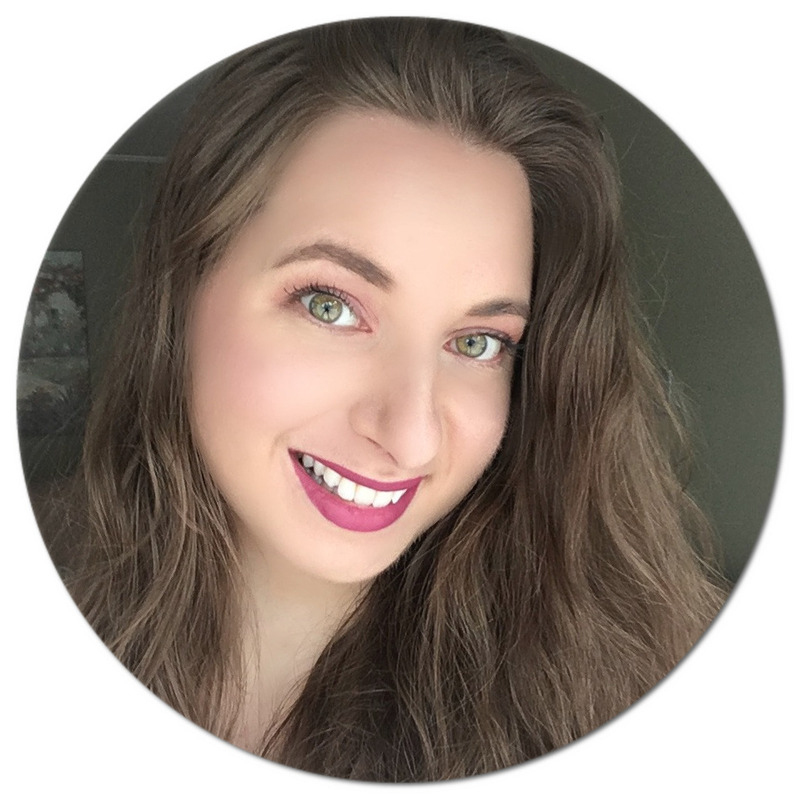 I don't know about you, but I just love the concept of rolling an oil blend onto my face - just imagine how soothing it is when applied under the eyes! You don't have to worry about squirting out too much as it often occurs with a dropper or pump - just swipe and pat onto your skin and you are done. Roman chamomile, lavender and geranium calm and reduce inflammation, while macadamia seed oil and jojoba oil hydrate and replenish the skin by smoothing fine lines and wrinkles. The OSEA Atmosphere Protection Cream* is my new favourite daytime moisturizer. Not only does it absorb within seconds, making it the perfect base to apply under makeup as it does not leave an oily film, but it also works to protect your skin from environmental aggressors including pollution, wind and dry climates - now how can you say no to that? This light matte cream has a silky texture, with key ingredients including seaweed extract, avocado oil, macadamia oil, jojoba seed oil and shea butter to make your skin appear supple and rejuvenated. No wonder it's one of their bestsellers! I had a feeling OSEA would not disappoint, and I am beyond impressed with the products I have been trying over the last few weeks. Trust me, you will never look at seaweed the same way after welcoming their products into your life! You can purchase OSEA products online - they offer free shipping on orders US$75+ and free samples with every order, too! 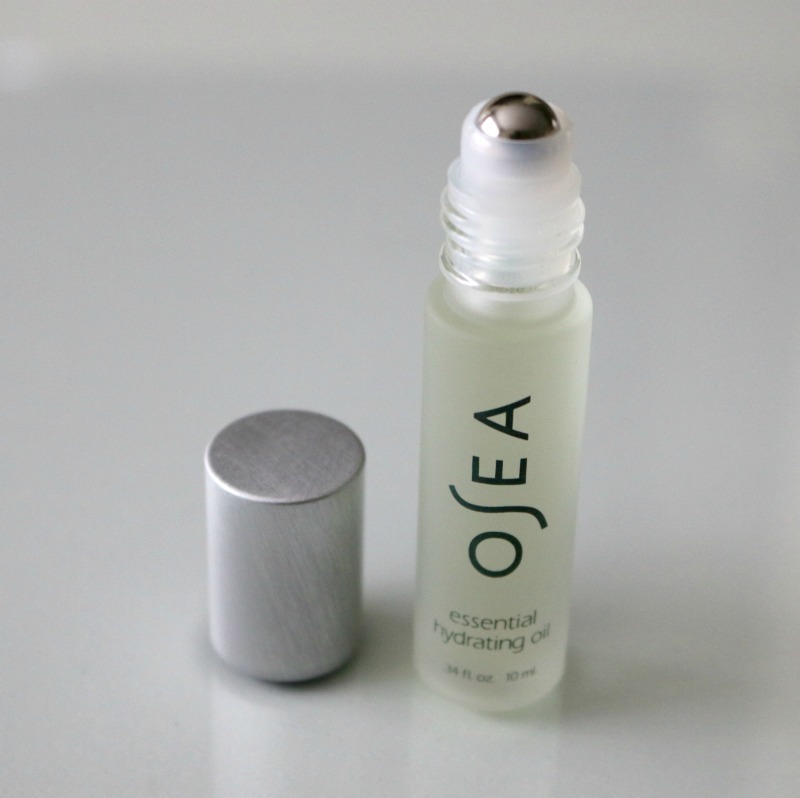 What OSEA product do you have your eyes on? 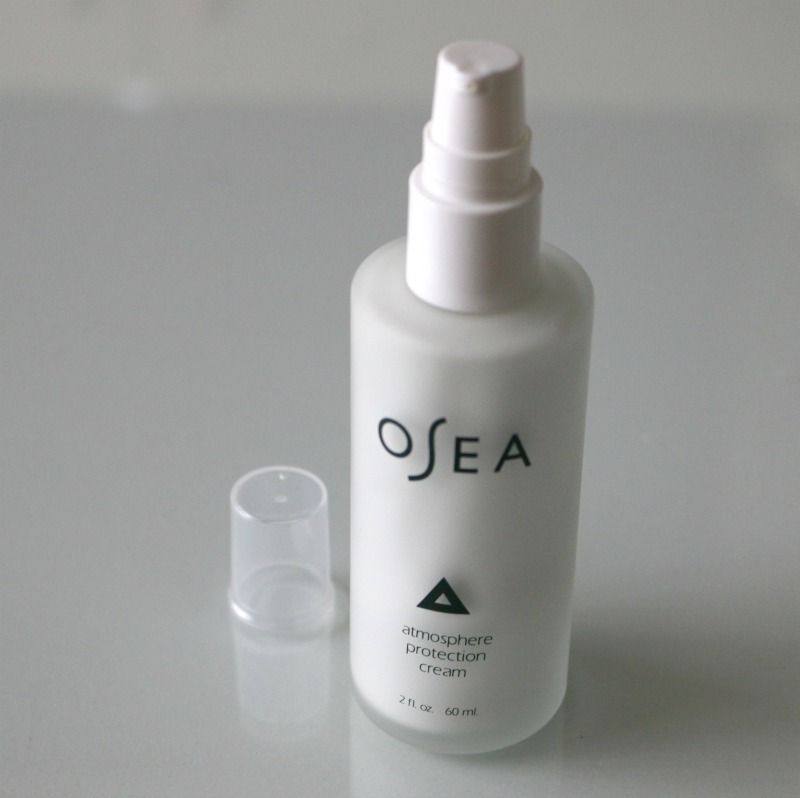 The OSEA Atmosphere Protection Cream seems amazing! I need to try it out! This sounds like an awesome skin care brand. I am definitely interested in trying it out!! I got that cream in a Fit Fab Fun box once and i fell in love! I need to try more of their line. I need to try this out. My skin could use the help. Seaweed in skin care products? That's interesting but I wouldn't say I'm surprised. I am really interested in that cleanser! I've never heard of them. I will go over and check them out. Thank you! I've been moving towards using more natural based skincare, so I'm always curious to try new products. I've heard great things about Osea. Going to add it to my list of new lines to try out. Seems interesting and it's worth a try. We have a lot of great skin care line and glad for introducing us to one of them. Excellent review. It sounds like an amazing product brand. I never tried it, but I think I should. It's my first time to heard this product! But I love trying new skin care! This sounds like such an amazing skincare line. I have to admit, I am always intrigued when products comes from some far away natural element, and I really like that they are vegan, cruelty free, gluten free, and non-gmo. I also like that they package many in recycled glass bottles. I always buy environmentally friendly products above all else. I will have to try this out. It really sounds like a nice skincare line. Sounds like this has amazing healing properties! I was thinking about the scent, lol! A citrus scent sounds refreshing! I'd love to give this a try. Looks like great products. I would love to try them for my skin. What a fantastic review. I am not usually one who gets excited about skin care products but I am pretty sure that this is a product I need to try! Now lets see if I can get it in Canada! I actually have a few of their products. Really good brand, innovative! Sounds like a great product! I haven't tried any but knowing that it is organic, i am planning to get some. These products look amazing. Im in the market for a new facial cleanser. I am very new to OSEA products. I am curious about them though because they are getting a lot of great reviews. Thanks for sharing your review. This sounds wonderful. I need to check it out. I just LOVE when you purchase beauty stuff online and they send you free samples! That's the best!! (and reminds me, I have a gift card to an online beauty store that I need to use!) They send out samples and you get to pick them! I love trying out new skincare. This sounds like a good product my skin could need some help with. Love the packaging too! This looks like a great skincare line. I love that they sent you other things to be able to try out. The products sound nice. I need something new to refresh my skin. My skin is neglected. I need to use something like this to restore my skin's health. These look like great products for me to add to my beauty regimen. I have never heard of this product before but it looks great! Seaweed skincare products are also popular in professional spa use. I would like to try this brand especially the OSEA Essential Hydrating Oil. I feel like I can use this a lot. I stay up late always and this one would be soothing under my eyes. I love organic skincare and this has been a brand I have also had my eye on. When I have a few more empties I will be purchasing from them! I like that the ocean cleanser is a spray. I'd love to try it! Always nice to learn about new products that helps with skin care. Will have to check out this one locally! I've never heard of this brand before, but I'm glad you liked it! Hey..... These are new products and I have never heard about this and I would love to try these products. This looks like a great product line! I have always heard that seaweed is great for your skin! It sure sounds like a lovely skin care brand and it's something that I wouldn't mind trying out. I've heard about seaweed being used on beauty products but I've never tried anything that contains it. I have their Atmosphere Protection Cream that I received in a subscription and I absolutely love it! Seaweed is so good for the body! I'll have to check these out! Sounds like a great product. And I love the simple packaging. Thanks for sharing. I have a few of their products and they are amazing. I need to check these out. Seaweed skin care sounds super healthy! I need to check it out! I am in love with this products. I am up with the first bottle and now using the second one. This is more like a hydrating oil. In order to look my face less powdery, I use it in a small proportion after makeup application.